Dear Readers, welcome to Vidimus for the month of March. Our feature for this issue is a fascinating, carefully-researched and beautifully-illustrated study of a memorial window to the poet and writer, John Milton, at St Margaret’s church, Westminster, by Dr Beverley Sherry of the University of Sydney, who has published widely on Milton and his works. Amongst our news is an appeal for information on an unusual quarry design from Trinity Church, Wall Street, Manhattan, an announcement of an exciting opportunity for a restorer at the stained glass studio of Cologne Cathedral, details of a number of events hosted by the British Society of Master Glass Painters in what promises to be a busy summer for the Society, and information about an upcoming innovative exhibition of contemporary glass inspired by the works of Edward Burne-Jones in Rottingdean, East Sussex, which he called home for more than twenty years. There are also details of series of lectures at Canterbury Cathedral inspired by the magnificent stained glass the cathedral houses, as well as of an opportunity to take a tour of the cathedral’s stained glass studio. Finally, we are very pleased to launch this month a new item in Vidimus. 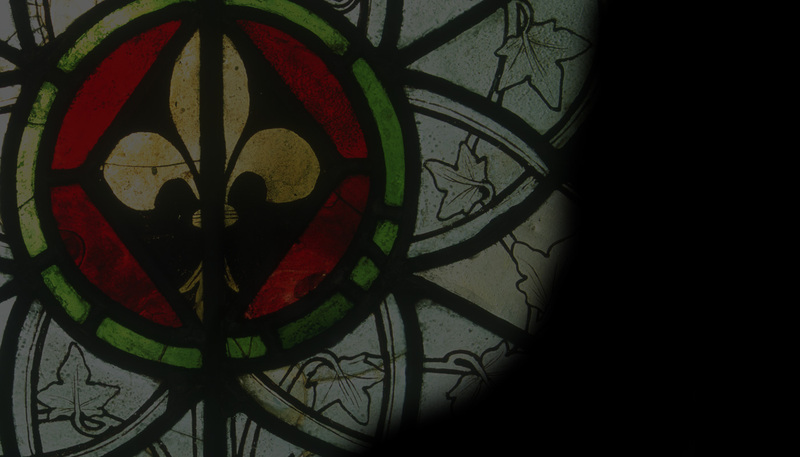 Entitled ‘From the Archives’, each month this feature will highlight and introduce a stained glass-related article or thesis available online.